In case you missed it, Kamen Rider Zi-O Climax Scramble is going to be the first Kamen Rider video game for the Nintendo Switch console our first trailer for the game is finally here! 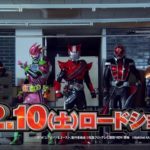 The game appears to be largely the same as last year’s Climax Fighters, with the only difference being the addition of Zi-O himself along with some new forms for Build, those hoping for a new experience may be disappointed while those that have yet to play Climax Fighters maybe want to check this one out! Kamen Rider Zi-O: Climax Scramble will be out November 29th 2018. Both a standard version and Limited edition will be available. The Limited Edition version of the game will include a DX Zi-O Ride Watch, a Zi-O and Geiz rubber strap, and bath sheets. 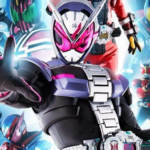 Kamen Rider Climax Scramble To Be Released in South East Asia! It’s certainly been a big day for Kamen Rider fans, as our first look at Kamen Rider Zi-O was dropped quite recently and Bandai is showing no signs of stopping any time soon. You might recall that a new video game called Kamen Rider Climax Scramble was recently announced for the Nintendo Switch if you’ve been looking to import the game we have good news for you. It was just confirmed on Bandai Namco S.E.A’s official Twitter account that Kamen Rider Climax Scramble will be making it’s way to South East Asia, complete with English subtitles much like last year’s Climax Fighters game. The good news is that the Nintendo Switch console is region free, so this version of the game will be more import friendly for our English reading audience. We’re still waiting for the trailer to drop, but we’ll let you know once it comes out so be sure to check back with us for more updates yet to come. Both the Japanese region and South East Asia region versions of the game are currently up for pre-order on Play-Asia. 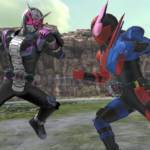 As if Kamen Rider Climax Fighters wasn’t enough, Bandai Namco Games is producing a second Kamen Rider game: Kamen RIder City Wars for IOS and Android devices. Bandai’s just released the 2nd preview trailer with our first look at how the game will play. Judging by the trailer, Kamen Rider City Wars appears to be a city builder type game but with the unique addition of a turn based strategy RPG battle system. The game looks to feature every main titular Rider: from Ichigo all the way up to Build. 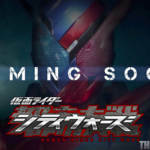 Kamen Rider Climax Fighters First Full Trailer And Release Info! In case you missed it Bandai Namco’s forthcoming melee brawler game: Kamen Rider Climax Fighters was just picked up for Asia Localization, which means the chances that we’ll see a Kamen Rider game with sub and English text is very likely. Not long after that announcement, new screen shots, release info, and a full-length trailer was just released courtesy of gematsu.com. Game Point: Kamen Rider Techniques – Become stronger by mastering the individual techniques of each Rider. Game Point: Up to Four Players Battle at Once – Up to four players can play at once, not only online, but also locally on a single PlayStation 4. Keyword: Two-on-Two Battles – In addition to one-on-one battles, you can also fight in two-on battles. Keyword: Form Change – If you’re fighting with a Rider that can use Form Change, there are also Riders with Form Changes that can only be activated during a special move. Keyword: Skills – Fighting with the skills possessed by each Rider is an important element. 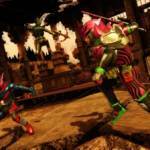 Game Point: Online Battles – Battle online to determine the strongest Kamen Rider. Keyword: Online Lobby – In the online lobby, players can wear the masks of their favorite Rider on a chibi avatar, and befriend and communicate with other players. As is the trend with Kamen Rider games, two versions will be available: a standard version and limited run premium sound version. The premium sound version contains the opening theme songs for Kuuga through Build as in game background music. Regardless of what version you purchase, a Climax Fighters background theme will be included as a pre order bonus. Kamen Rider Climax Fighters will be released December 2017, the standard release will retail for 7,600 yen while the Premium Sound Version costs 11,100 yen the premium sound version will only be in production until February 2018 so act fast! UPDATE 02/12/2017: Bandai Asia’s version of the trailer’s just come out complete with English subtitles! As such, the video from before’s been replaced with this version of the trailer. City Shrouded in Shadow Teaser Trailer And Release Date! Bandai Namco’s Kaiju Survival game City Shrouded in Shadow is finally gearing up for release, a new preview teaser for the game’s been released where we finally have a look at the gameplay. City Shrouded in Shadow will see a release October 19th 2017 in Japan, the trailer and previous magazine scans have confirmed the inclusion of the anime Mobile Poilice Patlabour into the already bizarre mix of Kaiju, Ultras, and Eva. An English localization for this game has yet to be confirmed as of this writing. 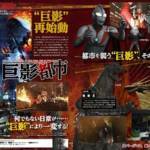 Last year, Bandai Namco Games announced City Shrouded in Shadow: a game where you survive a giant monster attack was in development and we’ve finally been given an update thanks to Famitsu magazine with translation courtesy of Silconera. Players will be able to choose between a male or female protagonist everything from clothes, hairstyle, and even job title can be changed. The game will also have multiple dialogue choices, some of which can affect your relationship with your significant other. While no solid release date was given as of yet, we do know that the game is currently 75% completed and will come out Fall 2017 in Japan for PS4 and PS3 consoles The Vita version has sadly been reported as canceled. 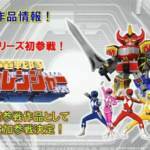 Daizyujin/Megazord Joins Super Robot Wars X-Omega Cast! For those unfamiliar with the franchise: Super Robot Wars is Banpresto’s crossover series which traditionally combines characters and plot lines from various Mecha animes into one stratagey RPG video game, but it seems like the franchise is making it’s leap into the live action genre, with Super Sentai making it’s first debut into the game. Super Robot Wars X-Omega is the franchise’s mobile game avalaible for devices running IOS and Android software , and Zyuranger’s Daizyujin will be avalaible for a limited time beginning in May as a special promotion character to tie in with the release of the Soul of Chogokin. Some new pre-order details for the forthcoming Mighty Morphin Power Rangers: Mega Battle video game’s been announced via Microsoft. 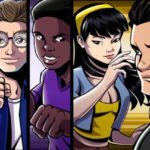 We now know that the Season 2 characters: Rocky, Adam, Aisha, White Ranger Tommy, and an Alternate version of Billy will be offered as downloadable content in the Morphenomenal Pack which will be bundled together with the game as a pre-order bonus though no such bundle’s been announced for the Playstation version of the game as of yet. According to Microsoft’s Page, the game will see release March 2017 costing $14.99 roughly US. Kamen Rider Movie War 2017 Revealed- Dr. Pac-Man VS Ex-Aid & Ghost With Legend Riders! We now have our first look at the next Kamen Rider: Movie Wars crossover project! In addition to the second meeting of Kamen Rider Ghost and Kamen Rider Ex-Aid, this movie will feature a surprise appearance from Bandai Namoco’s most iconic video game character- PAC-MAN! Heisei Generations will be released in theaters on December 10, 2016! Awhile back, we heard rumours that a brand new Mighty Morphin Power Rangers video game was in the works. A press release has gone out, giving us not only a handful of screenshots but also a trailer coming courtesy of Powerrangersnow and Youtube. The game appears to be a standard action brawler with local multiplayer that allows for up to four players siamotainously on the screen with a secondary fighting game style mode for Megazord combat, the press release promises a deep, intuitive fighting system . 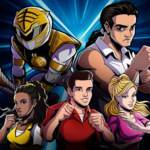 Levels will be based on episodes from the TV show with Tommy Oliver being a hidden unlockable character as both the Green and White Rangers in addition to Adam, Rocky, Kat, and Aisha.